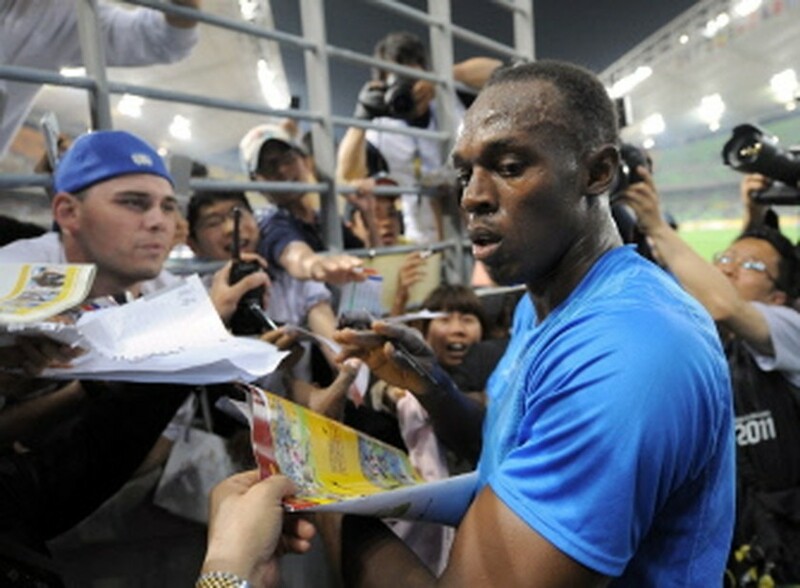 DAEGU, South Korea, May 19, 2010 (AFP) - World and Olympic triple gold medallist Usain Bolt got his 100-metre season underway in a respectable 9.86 seconds at the Daegu Pre-Championships Meeting on Wednesday. Bolt, who owns the world record of 9.58, was the only man under the 10-second barrier, with fellow Jamaican Michael Frater finishing second in 10.15 ahead of American Mike Rodgers in 10.18. His time contrasted to key rival Asafa Powell's 9.81 at Doha, where he was powered by a gusting desert wind. Both Powell andgish American Tyson Gay have made clear they are eyeing Bolt's world record this year. In the men's 110m hurdles, Beijing Olympic bronze medalist David Oliver from the United States came first at 13.11 to beat Beijing gold medalist Dayron Robles of Cuba by 0.15. American Ryan Bailey won the men's 200m in 20.58, and his compatriot Angelo Taylor finished first in the men's 400m with 45.21. Another American, Carmelita Jeter, who ran with the best time of 10.64 last year, won the women's 100m in 11 seconds flat, nudging Beijing Olympic gold medalist Veronica Campbell-Brown of Jamaica into second. Bianca Knight of the United States took out the women's 200m, while Russia's Julia Golubchikova jumped 4.65m to claim the women's pole vault.